· 【Higher Brightness】There are 33 powerful LEDs and the motion angle is 120º which can provide excellent illumination and turn the dark space into a bright lighted space. 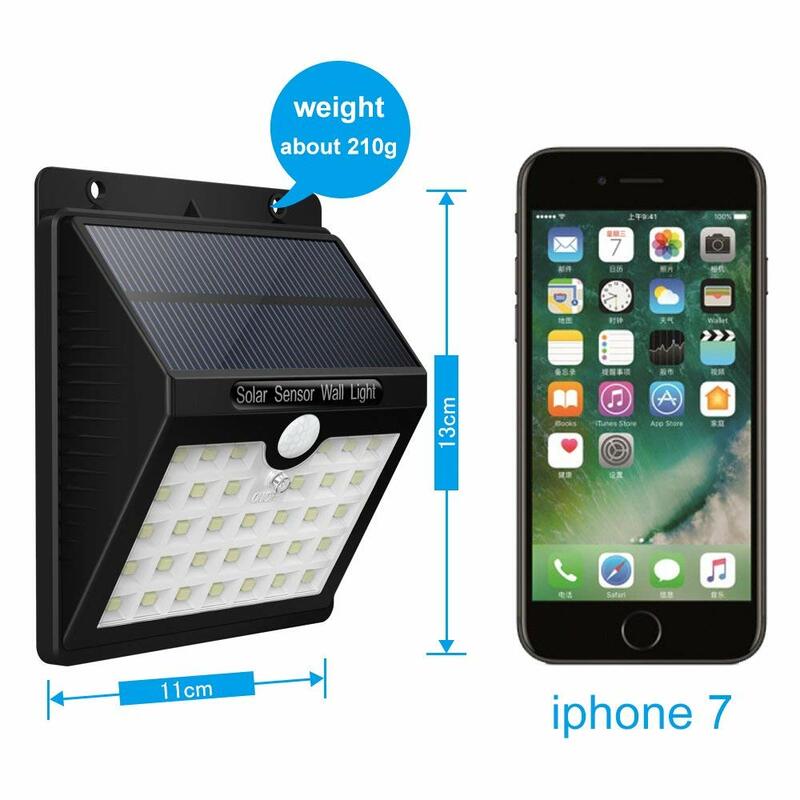 · 【Eco-Friendly】1200mAh rechargeable Li-ion battery and 400 Lumens Light, Exposure to sunlight for around 8 hours in daytime, the solar light is able to work for you by motion detecting at night. 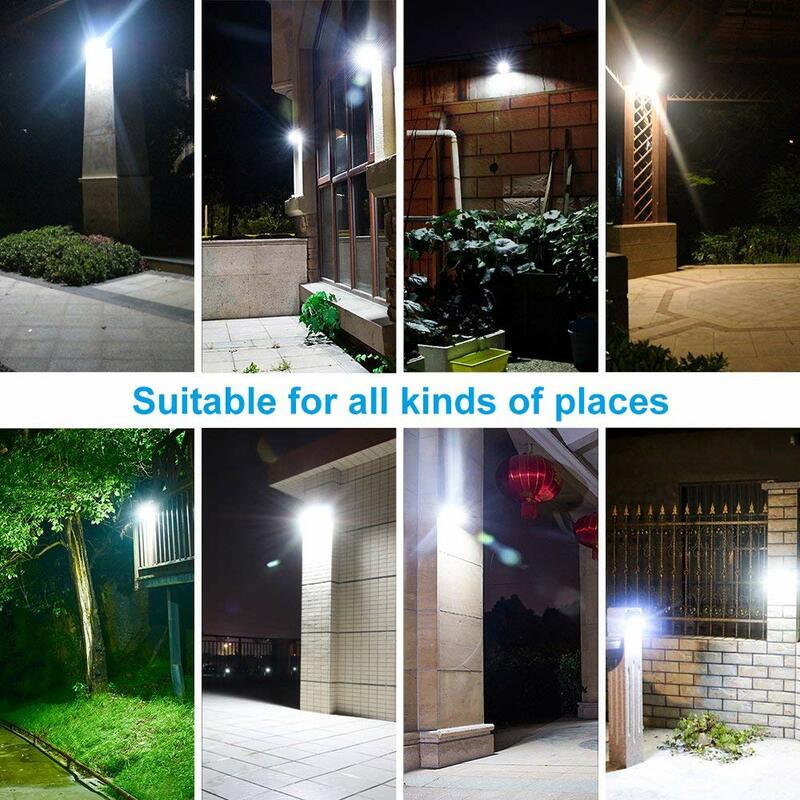 · 【IP65 Waterproof】The solar outdoor lights is water resistant and heat-resistant. A great solar security light for outdoor patio, garden, deck, yard, drive, outside wall, fence etc. · 【Easy Installation】This wireless solar motion light can be mounted conveniently. 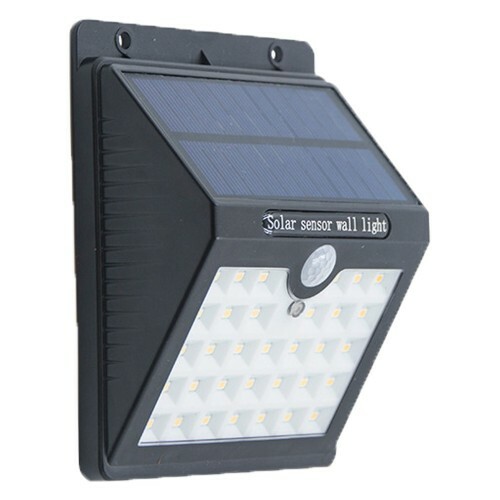 The solar light has 2 mounting holes for screws and can be attached to any surface with the help of screws. 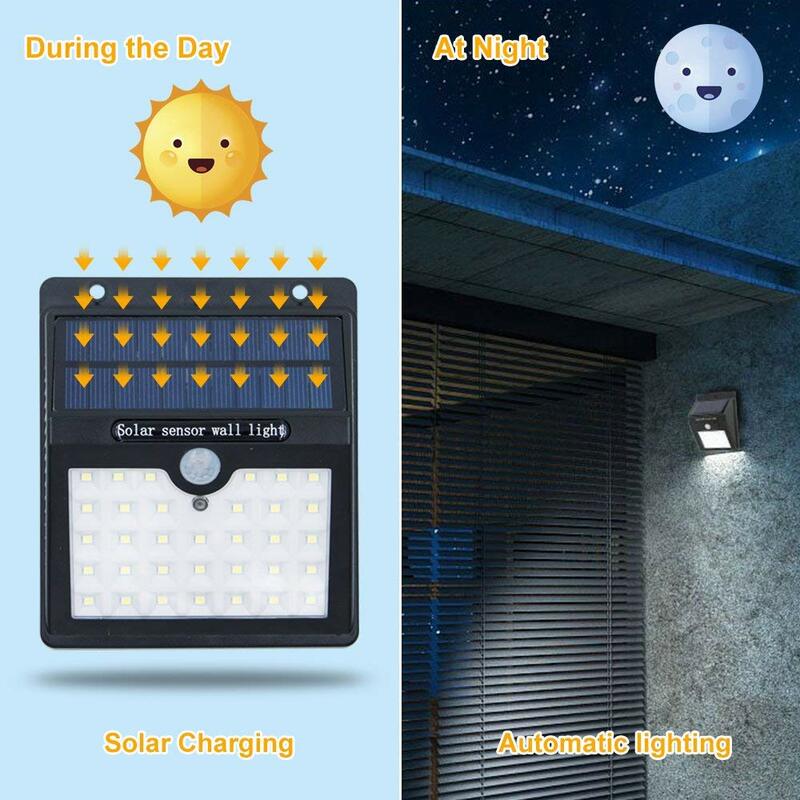 · 【Three Lighting Mode】Compare with other single-mode solar lights, KEYNICE Solar Motion Sensor Lights bring 3 working modes to cope with different usage scenarios. 1.Medium Light Mode:The solar light will auto turn on medium light at darkness for about 4-6 hours after fully charged. 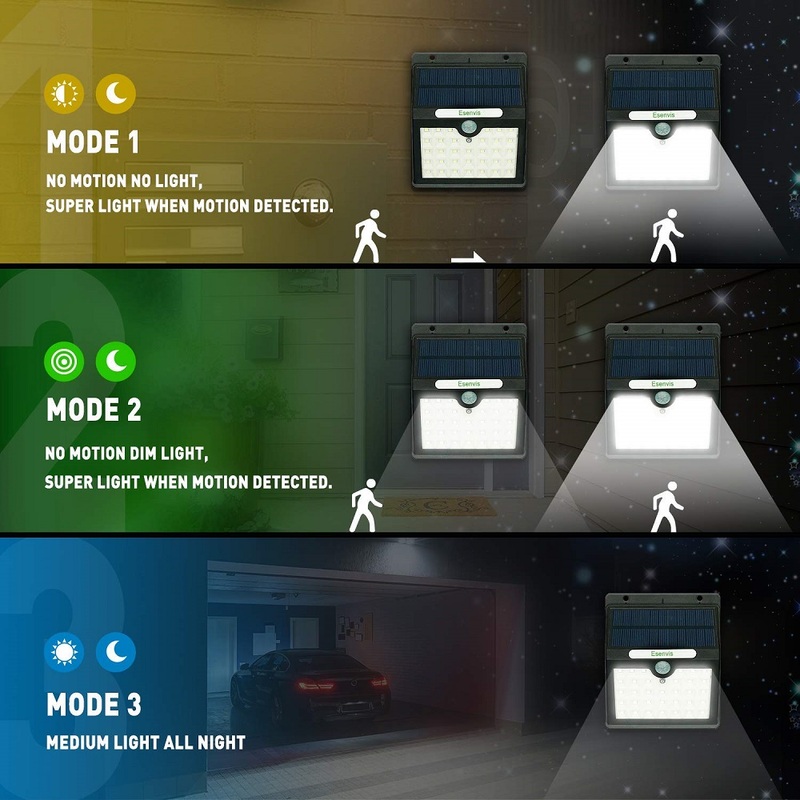 2.Dim Light Sensor Mode: light auto turn on dim light at night, and auto switch to bright when motion detected for about 17-20 seconds. Then back to dim light if no motion. 3.Sensor Mode: the solar powered light will auto turn to bright in darkness when motion detected and last about 17-20 seconds. And will turn off when no motion. 1.The outdoor solar light should be installed in places with sufficient sunshine. 2.Before use, please turn on the switch and make sure the solar light be charged with sufficient sunlight. 3.When the sunlight is not strong, the battery may not be fully charged, it&apos;s normal that the lighting time and brightness will compromise.